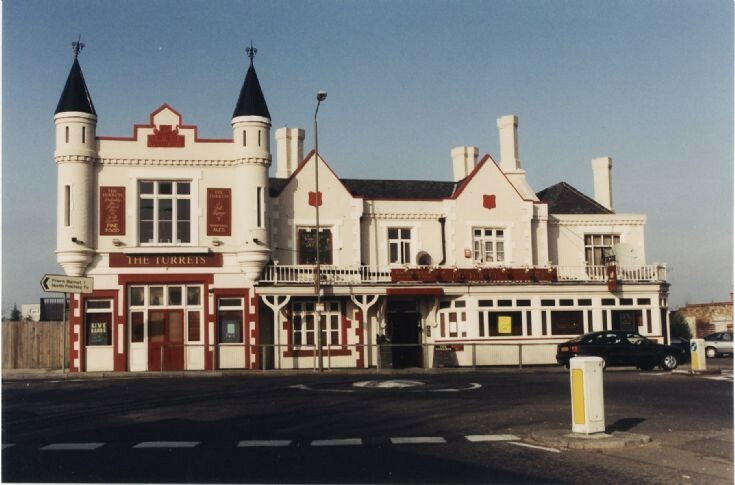 Believe it or not, as a young child I genuinely thought this pub was the 'Disney castle' shown with the fireworks as the intro to the 'Wonderful world of Disney'. My Grandparents Mary and Percy Cheek, lived in Brunswick Crescent until they sadly passed away. Anyone remember them? The best times of my young life were spent in New Southgate. I remember your grandparents and also Janet Cheek. Was a great place to grow up in during the 50s and 60s. Sadly now ruined. I also used to think The Turrets was a fairy tale castle! Went to Brunswick Park Primary School from 1957 to 1963. Great school.